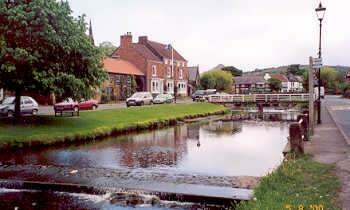 Great Ayton is a village which lies between Stokesley and Guisborough on the northern edge of the North York Moors. The village lies in the shadow of Roseberry Topping in the Cleveland Hills, but is perhaps most famous as being the childhood home of Captain Cook (who was educated at the Captain Cook Schoolroom in the village). IMPORTANT NOTE: The above links may refer to external websites whose content, products and/or services are not necessarily recommended or endorsed by Eagle Intermedia. Please see the copyright and disclaimer statement for more information.